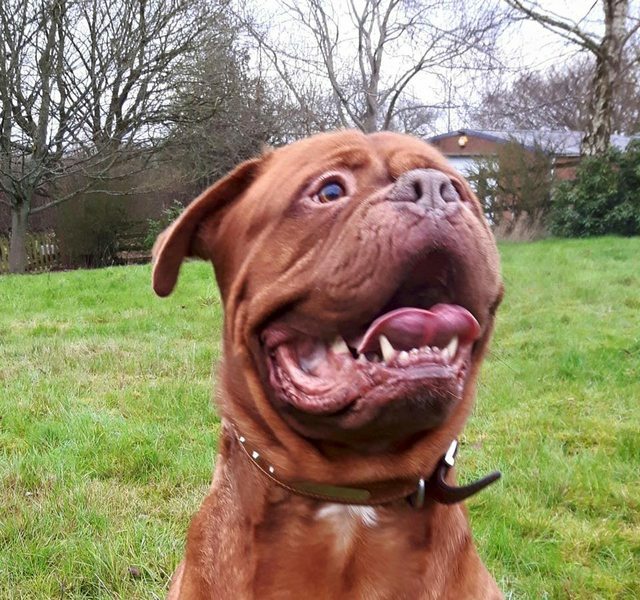 Ace is a beautiful 4 year old male Dogue de Bordeaux. 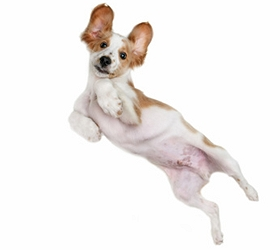 Ace is a very happy, loving boy that adores children and adults alike. 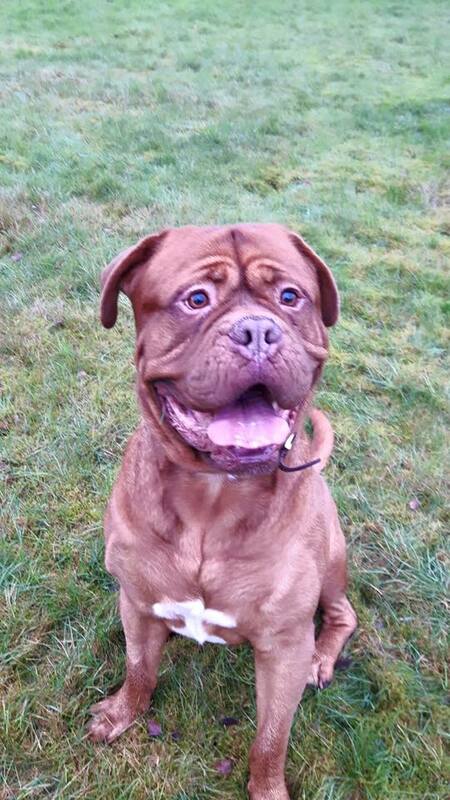 He took a little while to settle but he now greets his foster mum with his funny dance and smiles. He Loves nothing more than a game of football and then a cuddle on the sofa. 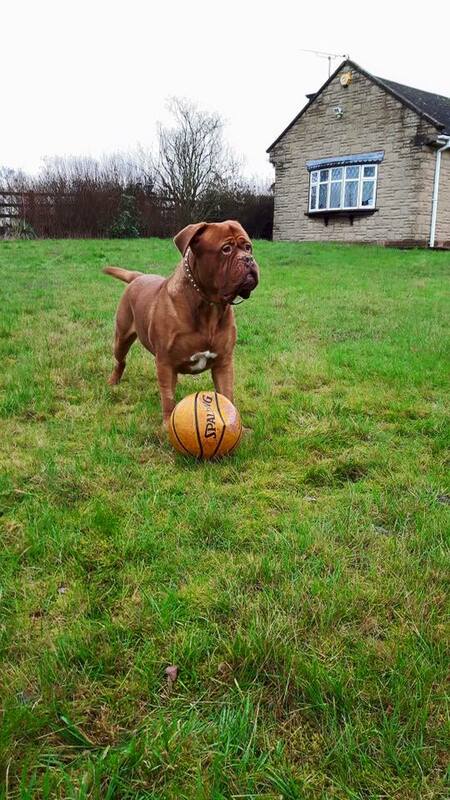 Ace does however need to be rehomed as an only dog.